Artec holds a competition among partners to find out who scans best – we’ve got two winners. 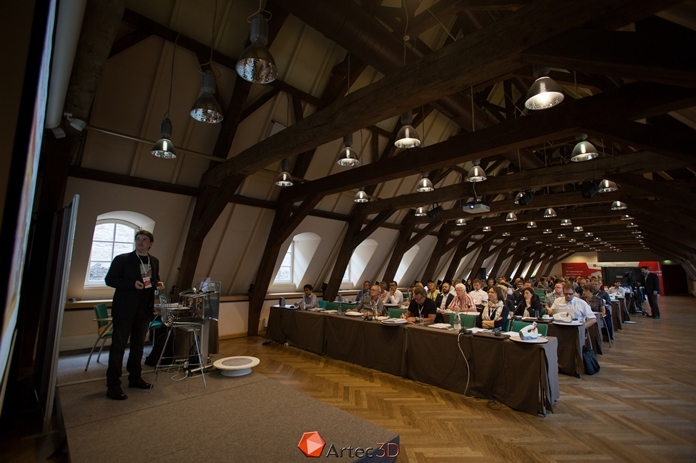 At the latest annual meeting with our global resellers, held in the beautiful Neimënster Abbey in Luxembourg in September, we decided to give them a chance to show off their 3D scanning skills and reward the best of them. So we organized a scanning competition, where participants needed to scan a fairly complex industrial object, a cylinder head, with Space Spider. 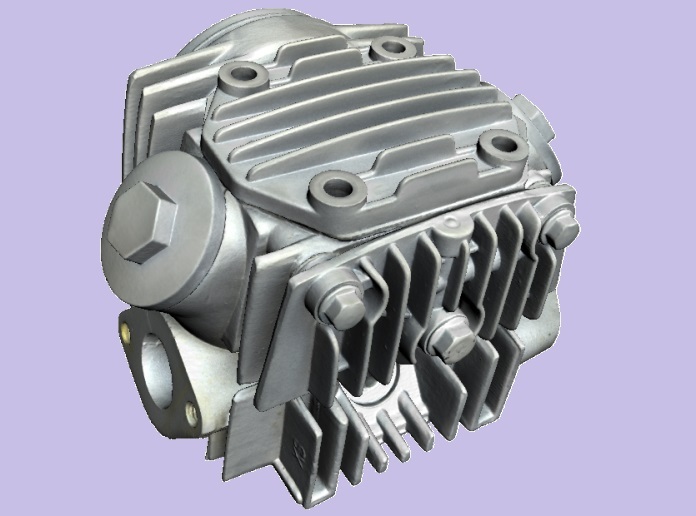 The cylinder head featured several hard-to-scan areas, including thin ribs, cavities and holes. This scanning job required a certain degree of meticulousness and the ability to understand at what angle the scanner needs to be pointed at the surface in order to capture it in every detail. The competition saw a total of 27 participants, who were split in two groups depending on their level of expertise. The first group of 10 people consisted of Gold Partners and partners who proved to have exceptional knowledge of Artec products by scoring high on Artec’s latest global scanning test, and the second group included 17 partners, most of whom joined us not long ago. Each participant was given 7 minutes to scan the object from all sides. Before they started, they could adjust settings in Artec Studio 11 3D scanning software, such as the brightness level, the way they preferred. The competition kicked up a great deal of interest. The competition kicked up a great deal of interest. A crowd would gather around the participants, everyone was curious to see others scanning, and some people would start cheering for one participant or another. Gold Partners attracted most of the attention, and it was a real pleasure to watch them at work. They looked very focused, with each movement very precise and carefully measured. You could tell they were planning out their trajectory very scrupulously. Once the participant was done scanning, the project was saved. The scans were automatically processed later at an Artec server: each project was turned into a 3D model in Autopilot mode using the same settings. Most of the resulting models looked really great. Most of the resulting models looked really great. According to the terms of the competition, the partners were to determine the winners among themselves. We uploaded the models on a server, making them “anonymous” by assigning them names in numbers. Only we knew which model was scanned by whom. Then we launched online voting among two panels of jurors, each consisting of the 5 most experienced specialists from either group. They were asked to rate the models from 0 to 10 by assessing the quality of the hard-to-scan areas primarily. Gold Partners rated less experienced partners, and vice versa, so no one could vote for themselves. The Gold Partners were very quick to select the winner from the other group, it was Armon Joos of the Swiss company 3D-Model. The Gold Partners were very quick to select the winner from the other group, it was Armon Joos of the Swiss company 3D-Model. 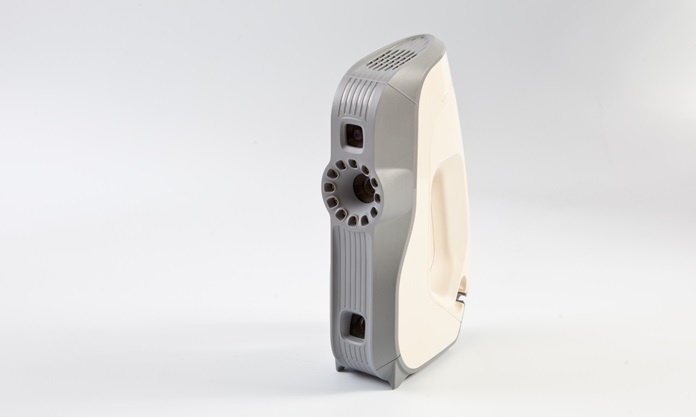 Armon gets the versatile white-light 3D scanner Artec Eva for scoring an impressive 40 points, congratulations! The second place was taken by another 3D scanning specialist from Switzerland, Tobias Schneider of Visual Data Systems. Fabrice Goussou of the French Boreal finished neck-and-neck with Tobias – they racked up 37 and 38 points respectively and are getting a discount on a future scanner purchase. The winner in the second group of partners, Armon Joos of the Swiss company 3D-Model is getting Artec Eva. The winner in the Gold Partners group was much harder to determine. The winner in the Gold Partners group was much harder to determine – we ended up with two draws (for the 1st and 2nd place), and the gap between the 3rd and 2nd places was only one point. So a tie breaker was needed. We asked Gold Partners to evaluate models in their group by giving them 10, 9 or 8 points, so they couldn’t give two models the same number of points. In the end, Edwin Rappard of the Dutch 4C Creative CAD CAM Consultants came out a clear winner with a total of 76 points. 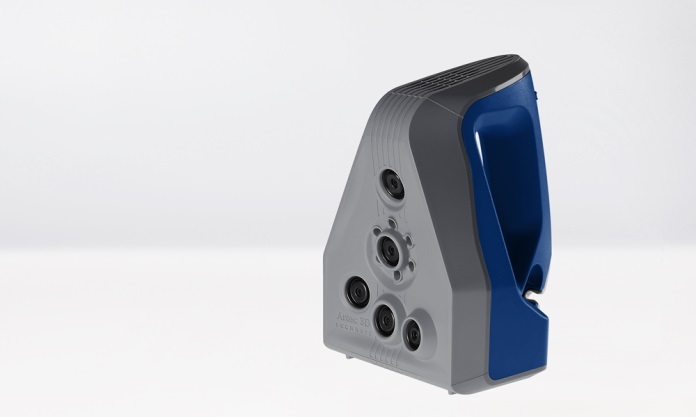 Edwin is getting the Space Spider high-precision 3D scanner, hooray! And just like in the other group, the 2nd and 3rd places were separated by only one point: Daniel Winkelmann of KLIB (Germany) got 71 points and Ali Can Boysan of Teknodizayn (Turkey) got 70 points. Their companies will be given discounts on future scanner purchases. The winner among Artec Gold Partners, Edwin Rappard of the Dutch company 4C Creative CAD CAM Consultants is getting Space Spider. We are very happy to work with such great partners. Congratulations to the winners! Hope to see you all next year.